If you live in the United States, there’s a good chance you might be. Between 2012 and 2013, 35.9 million Americans, roughly 9% of the population, moved residences, according to the U.S. Census Bureau. Despite the frequency with w hich many Americans move, few will tell you the process is stress-free. Rather, homeowners migrating for work or other reasons juggle a variety of tasks, including selling their home, searching for a new one and qualifying for financing — all within a short period of time. Because of the complexity of the relocation process and the stress involved, migrants who are better informed on the vagaries and quirks of the home-buying and selling process are often the most successful, both in terms of the deals they’re able to score and the anxiety they’re able to avoid. “A lot of people say, ‘I can just do that myself,’” says Bill Mulholland, owner and director of American Relocation Connections, an organization that helps companies and government agencies relocate their employees. There are a number of reasons why that’s a bad idea, Mulholland says, one of which is that buyers and sellers probably don’t know as much about real estate law as they think they do, regardless of how much time they spend on the Internet. “Don’t try to learn an entire industry to save some money up front when it could end up costing you a huge amount of money on the back end,” Mulholland says. A good realtor will be your main confidante and a much-needed sounding board during the entire relocation process, Mulholland says. He or she will tell you everything from how to price your home so it doesn’t sit on the market unsold for a year (jeopardizing your relocation), what lenders to speak with to receive financing and what paperwork to fill out so your kids can start school on time. “You never want to leave money on the table, or overpay, which is why it’s important to find someone who knows what they’re doing,” he adds. Homezada: Homezada helps buyers and sellers share documents and photos about their homes. If you’re moving across the country and don’t have time to spend a month viewing homes, use Homezada as a preliminary tool to pre-select residences you might want to view at a later date. 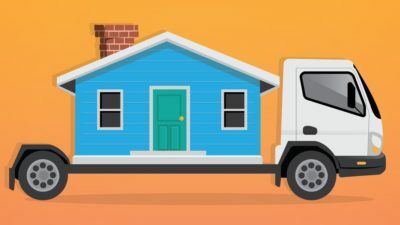 While that offer might tempt you, especially if you’re moving on a tight budget, there are consequences to fee negotiation that could compromise your home sale. One is the amount of people brought in to tour your home. If your realtor lowers the fee on your home to 5% and says they’re going to split that 5% evenly with a buyer’s agent, they’re limiting the pool of agents who will want to show clients your home. “They may not be doing you any favors because the other realtor is going to look at that listing on the MLS (Multiple Listing Service) and go ‘I only get 2.5% if I show this house and everyone else is paying 3%,’ ” Mulholland explains. Not only does that strategy, in many cases, free up the capital needed to qualify for a mortgage on a new home, it also ensures that a homeowner won’t be paying two mortgages at once in the event his or her home sits on the market for months. “You take occupancy of home, pay rent covering their mortgage, sign a sales contract and make the closing date as soon as your home sells,” Mulholland explains. While it isn’t wise to purchase a new home before you’ve sold your current dwelling, it’s always a good idea to get started on the financial research and paperwork you’ll need to complete to be approved for a new mortgage. “You may have lived there for 10 years and raised three kids there, but those things have no bearing on the home’s worth,” he says.